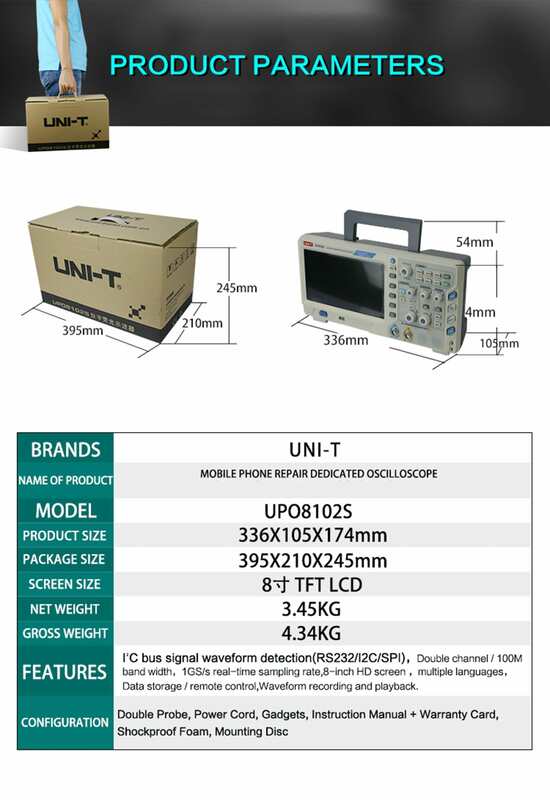 UNI-T UPO8102S Mobile Phone Repair Dedicated Oscilloscope is Dual Channel 100MHz 1GS/s . 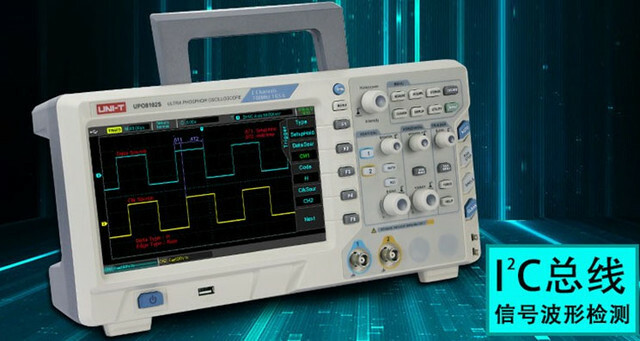 UPO8102S oscilloscope is mainly used to detect the voltage and signal waveform of the key points on mobile phone PCB. I2C/RS232/SPI protocol triggering and decoding, 100MHz band width 2 analog channels 1GS/s real-time sampling rate multiple waveform parameters. 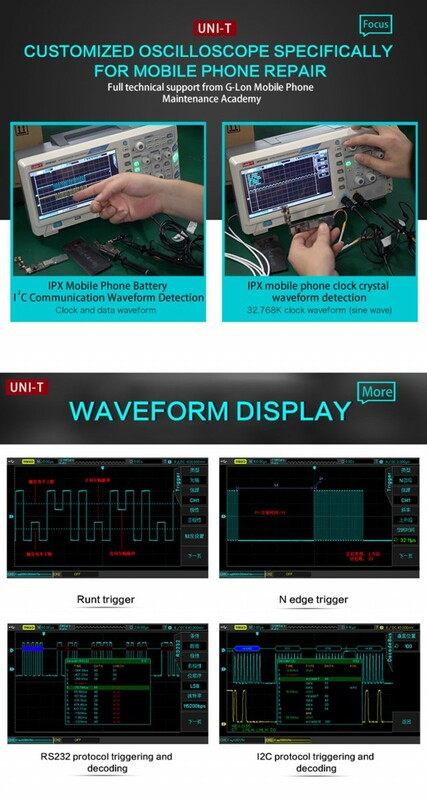 UNI-T UPO8102S oscilloscope is the world's first customized oscilloscope for mobile phone repair. 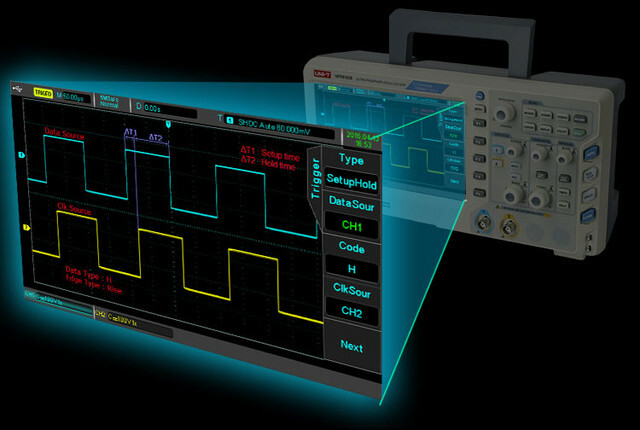 The oscilloscope is mainly used to detect the voltage and signal waveform of the key points on the main board, which can be delineated. Range, quickly find the point of failure. 1. 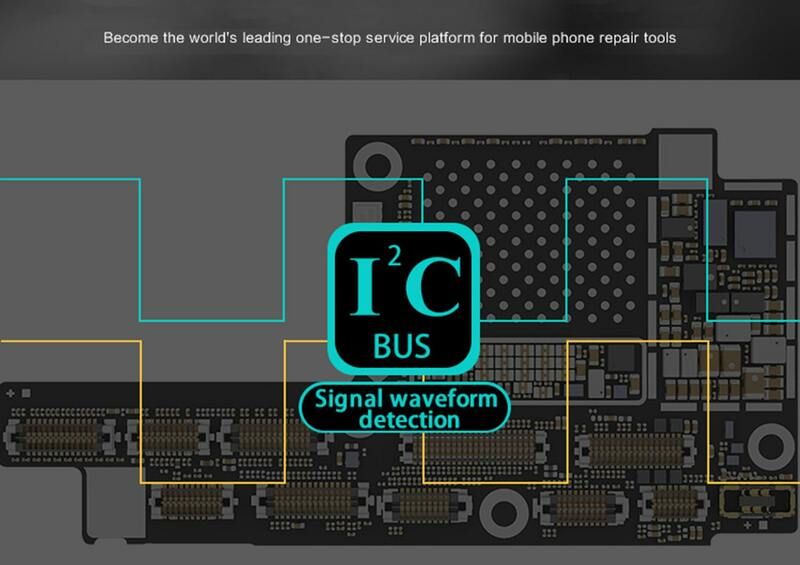 I2C/RS232/SPI protocol triggering and decoding, customized for mobile phone repair, professional and accurate, let you find the fault quickly. 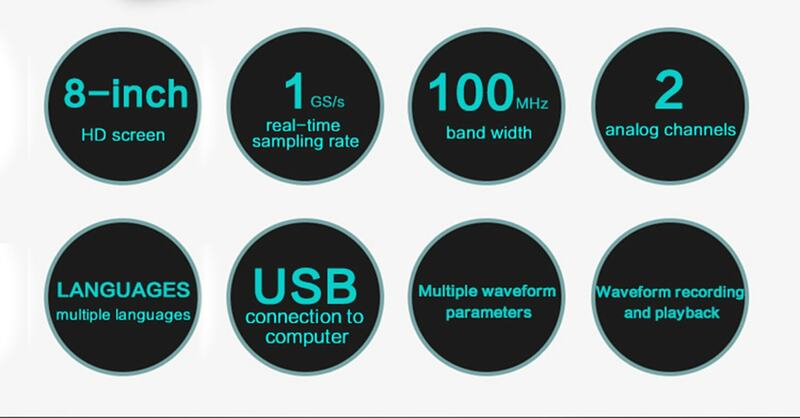 2.100MHz bandwidth, 2 analog channels, 1GS/s real-time sampling rate, multiple waveform parameters. 3. Connect the USB to the computer, you can debug and remote control by connecting to the computer. 4. You can start to use it by pluging in the USB anytime and anywhere, upgrade the system software through the USB, also can be used to store data. 6. Configuring an 8-inch screen and can acquire a full field of view. You can start to use it by pluging in the USB anytime and anywhere, upgrade the system software through the USB, also can debug and remote control by connecting your computer.